As you know, CHIME is my favourite read this year. Still, it haunts me. Okay, that Reading Rainbow clip nearly made me pee my pants with excitement--flashback to being six? Also, flashback to my PBS childhood. I was always destined to be a geek. Professional vacationer? Sign me up ! But I feel the same way about reading as travel. Love it! 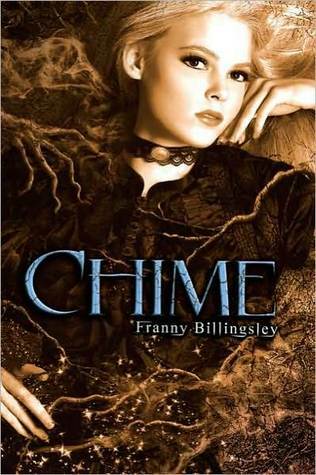 I'm looking forward to reading Chime, since you and Sarah keep hyping it up. Besides Inception (which I did love), I've also enjoyed traveling to Paris in Anna and the French Kiss (Stephanie Perkins), the fantasy kingdom in Pegasus (Robin McKinley), the Book World in The Eyre Affair (Jasper Fforde). I don't have a strong preference for real world vs. made up when I'm reading, but as I writer I think I'm stronger when my worlds are grounded in reality. I don't know that I have a favorite setting, but my favorite book would have a setting that I could feel completely immersed in. Books that have done this lately for me have been THE NEAR WITCH by Victoria Schwab; the gorgeous, lyrical writing absolutely aids this and I'm just surprised I didn't feel the wind whispering by as I read. I'm currently reading THE NIGHT CIRCUS (and when my review is up it will probably just be me gushing and incredibly incoherent as I love this book) and it's absolutely stunning in its prose and description. I'm pretty sure I've been having dreams in shades of black and white due to reading it. I guess it doesn't really matter if it's real or invented - perhaps the best is when I can't tell the difference. Thanks for all the great suggestions, y'all! Oh, we have heard wonderful things about The Near Witch, and your review of The Night Circus definitely got us interested.